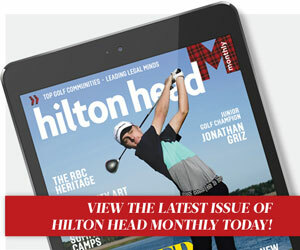 Hilton Head Distillery plans to open a separate room in the facility called The Bridge, which will offer private experiences for customers interested in learning about the art of distilling. A specific opening date has not been announced, but construction began in June and is expected to last nine months. The distillery will be unable to give public tours during construction, but the tasting room will be open during regular hours. The GT International Cafe has opened in Plantation Center, next to Santa Fe Café on Hilton Head Island. The restaurant's menu ranges from American to Italian, Cuban, Colombian and Mexican dishes. The Cuban sandwich is one of the most popular items, and features pork marinated for 24 hours and Cuban bread shipped in from Florida. Beloved Coffee Roasters is Beaufort’s newest spot to grab a fresh cup of homemade coffee. Owners Doug and Beatrice Reynolds are Bluffton residents and opened the shop in April. Beloved Coffee Roasters features a variety of fresh-roasted choices, including lattes, cappuccinos and pour-overs. Red Fish Bluffton has closed for the summer, joining a growing list of businesses that have closed or reduced hours due to a labor shortage. Employees of Red Fish Bluffton have been moved to the Hilton Head Island Red Fish location and the Old Oyster Factory restaurant. The Bluffton location of Red Fish announced its closure in a Facebook post and plans to reopen in the fall. Hudson’s Seafood House On the Docks is now partnering with South Carolina Aquarium’s Good Catch. Restaurants that partner with Good Catch have committed to serve local, sustainable seafood from the Southeast region of the United States. Hudson’s is currently the only Good Catch Platinum Partner restaurant in Beaufort County. Less than two years after opening, FARM Bluffton has established itself as a hub for progressive, sophisticated yet straightforward food. The fresh herbs and much of the produce come directly from the restaurant’s nearby garden at Williamson Lowcountry Farms — there’s no 18-wheeler pulling up to deliver jet-lagged veggies from another hemisphere. “In season only” is FARM’s mantra; that means no strawberries in December, but there will be loquats in May. At last count, Beaufort County had more than 20 places where those who love ice cream, gelato, sorbet, soft-serve or fro-yo could get their fix of creamy goodness. While frozen yogurt sold by the ounce is the newest addition to Hilton Head Island and Bluffton, other options abound to satisfy cravings for something cold and sweet on a hot summer day. 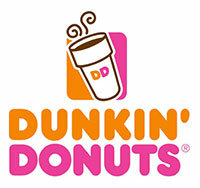 A Dunkin’ Donuts is coming to Okatie near the Burger King on S.C. 170. The coffee and doughnut shop also serves breakfast sandwiches and specialty drinks. Construction has not started on the new store and an opening date has not been announced. REACQUAINT YOURSELF WITH SOME OF THE LOWCOUNTRY’S MOST COLOSSAL CREATIONS OF MEAT, CHEESE AND IMAGINATION. Make no mistake, the once humble hamburger has been elevated in the Lowcountry. The formerly quite basic American staple has been deconstructed, parsed, analyzed, and, in the minds of some culinary experts, perfected. 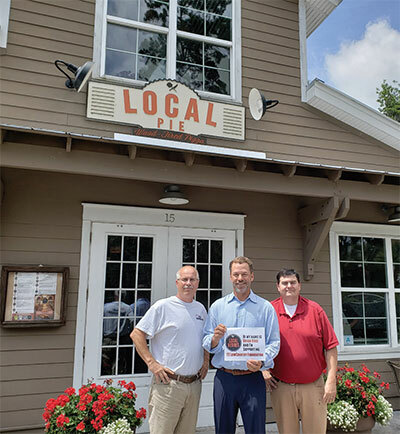 Hilton Head and Bluffton pizza restaurant Local Pie has launched a program to identify and honor local heroes in the Lowcountry community. Brian Rose was the June Hometown Hero. He serves the community through the F3 Lowcountry Foundation. F3 stands for fitness, fellowship and faith, and the organization provides free workout groups for men who are involved in the community while raising money for other local charities.